To be a relevant presence in the lives of Biolans everywhere, to build robust networks of Biolan advocates and ambassadors, to provide opportunities to meaningfully engage them with each other and in the life of Biola, and to create a culture of giving time, talent and treasure to advance Biola now and into the future. Lily has had an interesting and fulfilling career life thus far. Shortly after graduating from UCLA, she began using her God-given love and gift for reaching out to people in a company providing career development to the injured, disabled and disadvantaged. After four years she was asked to open and manage an additional office for the company and ultimately assumed ownership of the office for an additional nine years. Thereafter she headed back to UCLA, where her passion for connecting and engaging people led first to overseeing domestic alumni engagement and then to initiating and creating the position of International Engagement, where she identified, built and grew Bruin communities all around the world for 12 and a half years. Now the Lord has led Lily to Biola. She is grateful for the opportunity to serve Him and to fulfill our mission to impact the world for the Lord Jesus Christ through her role and work as the Senior Director of Alumni and Parent Relations. 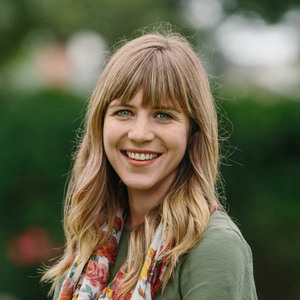 Through providing deeply connected and meaningful experiences for students, alumni and parents, Lily and her team are poised to translate those experiences into active engagement in lifelong relationships with Biola and hearts prepared to give of time, talent and treasure. Don is creating a myriad of engagement opportunities for Biolans all around the world. Check out our list of more than 80 alumni regional contacts — people who have stepped up to be our Biola “bridge” to the regions, fostering and building Biola communities and creating opportunities to connect Biolans and engage them in the life of Biola. Stephanie is our “go to” for all things parent-related to enhance the parent/family experience. 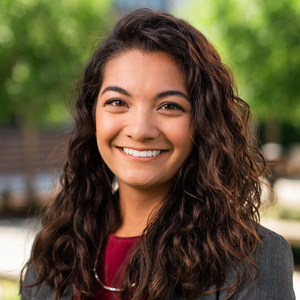 She has all of the answers to parents’ questions on what to expect, what their students can expect and on the Biola experience, and if she doesn’t, Stephanie will direct you to someone who does. She’s here to be a resource to, and support for, all parents and families and to connect parents to each other also as mutual resources and sources of encouragement. Leina joined our team just a few months ago but has already proved herself an invaluable member of our team. Her sense of organization, attention to detail and enthusiastic energy has been so refreshing. In addition to implementing helpful processes, Leina has been our social media guru, activating our communication to Biolans on Facebook, Instagram, Twitter and soon, LinkedIn. Check out our posts to see what’s happening around campus and among Biolans around the country and the world! Senior Lecturer, Chapman Graphic Design Dept. Adjunct, IVC Digital Media Dept. Adjunct, Biola Media, Journalism and Public Relations Dept. Barbara started on her career path as a court reporter working for an agency on LA’s Westside reporting high-profile business litigation and medical malpractice cases. She enjoyed the freedom that reporting provided her, the interesting and diverse people that she met, and the variety of subject matters she was exposed to on a regular basis. Barbara always loved learning, for the sake of learning. Ten years into her career, she had the desire to go back to school for further education. Following much prayer and seeking, the Lord opened the door for her to enroll in the BOLD (Biola Organizational Leadership Degree) program. It was through this program that Barbara not only fell in love with school and learning again, but she fell in love with the people in her cohort as well as her professors. It was through their intercessory prayer times and stimulating interactions that she came to love the Biola community and its mission and knew that graduation would not be the end of her Biola story. After graduating in 2004, she put her organizational leadership degree to work leading a management team for a nearby city. She continued her connection to Biola staying in contact with her cohort members and attending annual events where she crossed paths with alumni staff. In 2012 she was invited to an alumni board meeting, and the rest is history! She has served as President and on several committees. 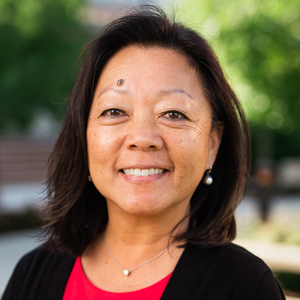 Barbara is grateful for the Lord’s “gift” of Biola to her and is enthusiastic about representing the school and its mission and in using her influence and resources to help connect new friends and old acquaintances as they write their own Biola stories. Catherine (Cathy Powell) Keyston was a communication and education major. She is currently teaching grades 6, 7 and 8 in a middle school in Arcadia, Calif. Cathy is so excited to be reconnecting with Biola again. Biola is engaged in our culture in a very relevant way and her hope for the ALC is that it will continue the good that the Alumni Board has already been doing while finding new ways to continue to meet the cultural, intellectual and spiritual needs of alumni in the same way. Since graduating from Biola, Ruth has spent her entire career in local government. She is currently employed with the City of Pasadena, in the City Manager’s Office. She has been married for 25 years and has a son and daughter. She currently serves on the Biola Leadership Council. In her spare time Ruth has managed a second “career” as a perpetual volunteer. She currently serves as a chair/director of the Pasadena Tournament of Roses and 2019 marks 21 years of “working” on the Rose Parade. In addition, she is a 16-year board member on the Burbank Housing Corporation, providing oversight to over 300 affordable housing units in the Burbank Community. Ruth has served with her daughter as members of the Burbank Chapter of National Charity League. She held many leadership positions including President in 2016. By God’s grace, Ruth has dedicated her life to her family and in service to others. She has a keen understanding that families are the foundation of a strong community and that a strong community needs good people willing to serve. Most anyone that has worked with Ruth can attest that she serves with distinction and leads with compassion. Stacey Anderson-Miller graduated with a Bachelor of Arts in Communication Disorders, with a Master of Arts in Communicative Disorders later earned from California State University at Fullerton in 1988. Stacey has performed as an adjunct instructor and clinic supervisor in the Biola University communication disorders department intermittently between the years 1998 to 2005. As a licensed speech/language pathologist for over 30 years, Stacey has developed specialties in treating neurological disorders such as strokes and dementias, with a sub specialty in treating Parkinson’s Disease. Stacey currently works for Kaiser Permanente Home Health in Orange County. Stacey has been married to Barry Miller for nearly 30 years, has 3 sons and 2 daughters-in-law, and her first grandchild due in April of 2019! Stacey is a devout follower of Jesus who sees her profession as her frontline mission field. 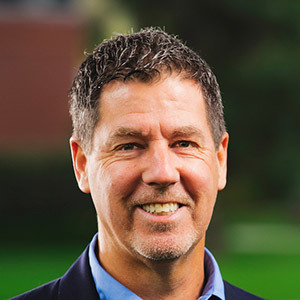 Daniel Parham is the assistant director of undergraduate retention and success at Biola University and has represented the alumni community since 2014. He received his B.A. in Biblical and Theological Studies from Biola in 2013 and his M.A. in Christian Education from Talbot School of Theology in 2018. Daniel has served in ministry since 2013. He is currently an elder at Gospel Memorial Church of God in Christ in Long Beach, Calif. He currently leads the Nominations Committee of the Alumni Leadership Council. Anita Polite-Wilson, Ph.D., affectionally known as Dr. Anita, has served as an executive coach, workshop facilitator, and organizational development consultant helping people and teams raise their awareness about leveraging individual strengths to accelerate organizational performance. With over 20 years of experience, she is a scholar-practitioner with expertise in adult learning theory, coaching and mentoring, and implementation of organizational leadership initiatives aligned with the goals and objectives of corporate, government, and non-profit entities. She holds a B.S. in Management from Pepperdine University (’92), an M.A. in Organizational Leadership from Biola University (’03), along with an M.A. and Ph.D. in Human and Organizational Systems from Fielding Graduate University (’14). Dr. Anita has been a guest speaker for Chocolate Chat and LEAD Scholars to promote the Strengths-Based philosophy and its benefits in strategic career planning. She hopes to continue coaching and mentoring emerging professionals by hosting “Biolans Breaking Bread” dinners in the home she shares with her husband, Emanuel.